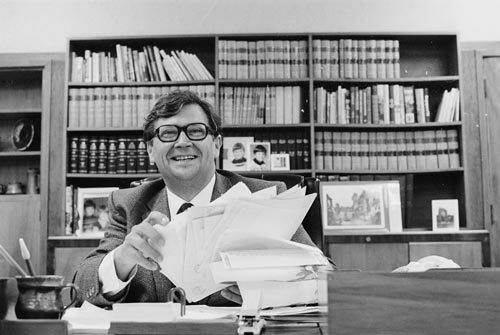 In 1983 David Lange supplanted Bill Rowling as leader of the Labour Party. He and fellow MPs Roger Douglas, Michael Bassett, Richard Prebble and Mike Moore had attempted to overthrow Rowling in 1980 but were unsuccessful. Lange’s second attempt at the leadership followed stomach-stapling surgery and an appearance makeover, involving a new hairstyle and glasses, and smart suits.